Or as I like to call it, The New Treize! Laurel and Kajsa, the dynamic duo of 13 A Baker’s Dozen, have done it again : created another magical address. This is the rebirth of a true labor of love. they have also brought with them one of the artisanal florists from the flower shop just at the entrance of the old address. And now in addition to offering their famous southern fusion home cuisine and awesome drinks, they also offer whimsical bouquets and more. 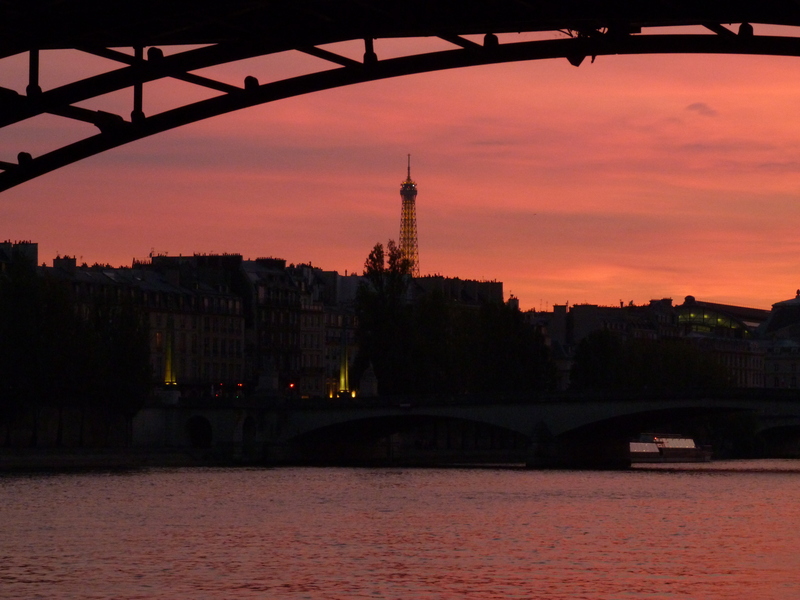 It may certainly be the prettiest place to relax with good food, good drink and good friends in all of Paris! We spent several days lounging there on their first week open. It was like a long drink of water in the hot sun, refreshing and sweet. Laurel and Kajsa have put together a vibrant team, and have some chefs coming in from the United States to take over daily operations. A follow up article on that will be in order. Laurel has created the menu and the recipes. Kajsa is the head of the bar and restaurant. They both run their respective domains like the pros that they are, with a constant smile, and a warm hug for friends. Its impossible to not feel at home here. In addition to the terrace and the front dinning room, the red also a long wide corridor lined with tables and a back room with the big table and some smaller tables. This is the coziest spot and I plan on occupying that as much as I can this winter! And the food is as indulgent as the decorum is delightful. Buttermilk biscuits, cheese sticks, artichoke dip, pulled pork biscuits, gin drinks served in teacups, and let’s not forget Laurel’s famous carrot cake! Please enjoy more delightful images to inspire your appetite. If you loved 13 A Baker’s Dozen, then Treize au Jardin will knock your chaussettes off. The atmosphere, the intent, the beauty, the flavor…you want to savor every moment, every square centimeter, every delicious bit of it. Go, go and be reborn into the new chapter that is Treize. If you aren’t already a believer, you will be upon setting foot inside. Congratulations, Laurel! Your new place looks amazing. Wish I was I Paris right now to enjoy. We will definitely come by the next time we are in town. It looks beautiful and inviting and I’m sure the food is delicious! Oh my lovely! As if the amazing food weren’t enough, a non-smoking terrace! This place is a true find. Can’t wait to visit–we’ll be there next June, y’all. I loved the previous incarnation and was worried when I heard about the move, but this gives me hope that, though different, it will be divine! My wife and I found 13 A Baker’s Dozen a true delight (even though I was seriously disoriented when I opened the front door and instead of « Bonjour! » I heard « Y’all come on in! »). We’re taking our 14-year-old granddaughter next summer and this will be an early destination for us. I can hardly wait to see it! A review as swept up in the magic of Treize as much as we were when we visited this fabulous new iteration in July! Laurel, who knew you could create something even more magical…Rive Gauche, Y’all!